Senior nurses and midwives can apply to a leadership programme that has been created to ‘strengthen the research voice’ across the professions. 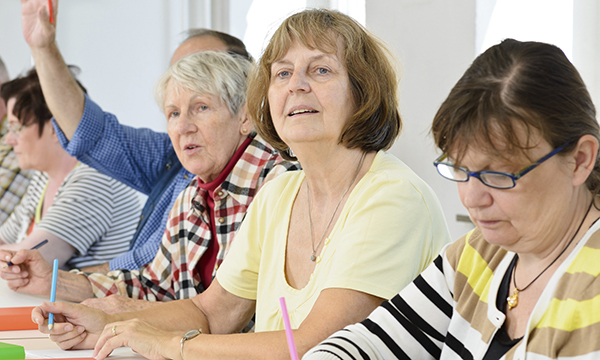 The National Institute for Health Research (NIHR) has launched the initiative – 70@70: The NIHR Senior Nurse and Midwife Research Leader Programme – which is funded by the Department of Health and Social Care. A total of 70 senior nurses and midwives will be accepted to join the programme, which is due to start in April 2019. Applicants must have experience of building a research-led care environment for patients, and show evidence of developing existing practice. The programme’s director and NIHR associate director of nursing Clare Meachin said: ‘I am delighted to announce 70@70, an exciting programme that offers senior nurses and midwives the opportunity to support innovation and drive improvements in care. 'The programme provides the space and time to share learning across teams, organisations and the NHS. ‘Nurses and midwives are by far the largest group of healthcare professionals and have such an important contribution to make to research delivery. The successful applicants must be able to dedicate two days a week to the programme over a period of three years. They will receive funding that covers 40% of full-time equivalent salary costs. The application process to join the first cohort will open on 1 November, and the closing date for entries is 30 November.